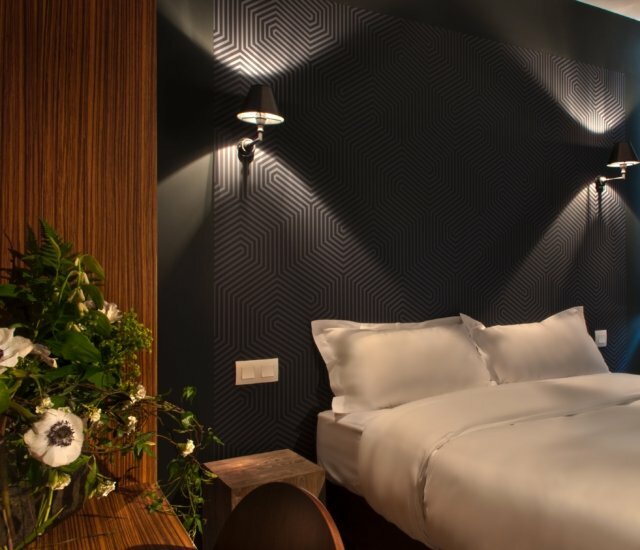 Nestled in the heart of the meanders of the magnificent Buckles of the Seine, to Chatou, the hotel Les Terres Blanches opens you the doors of its elegant and comfortable rooms. You will discover the life-size charm of Chatou and the Country of the Impressionists which inspired the biggest painters and the writers of former days. From Renoir to Monet, via Maupassant, all let bewitch by the beauty of places, which they immortalized in their works. 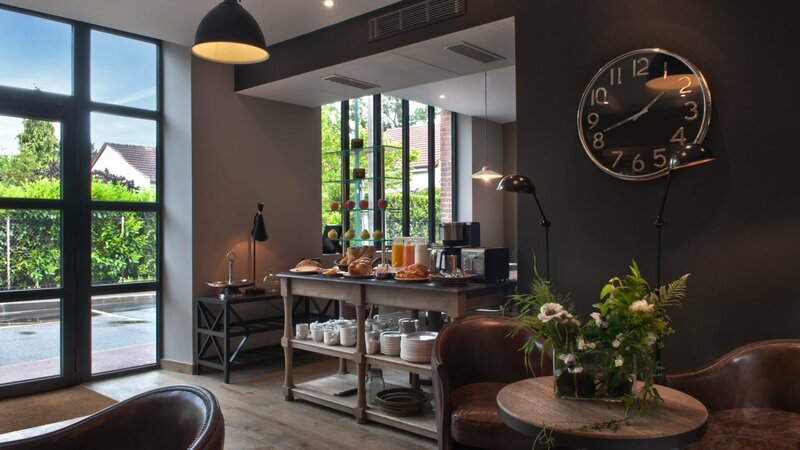 Our hotel is located in the exceptional setting of an old house in a quiet residential area. 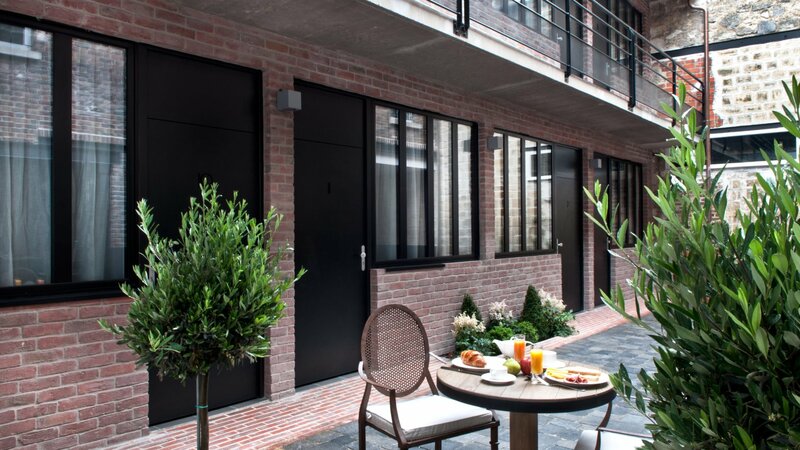 Behind its red-brick facade is an atypical universe completely renovated and fitted out in a “Loft New York” spirit. 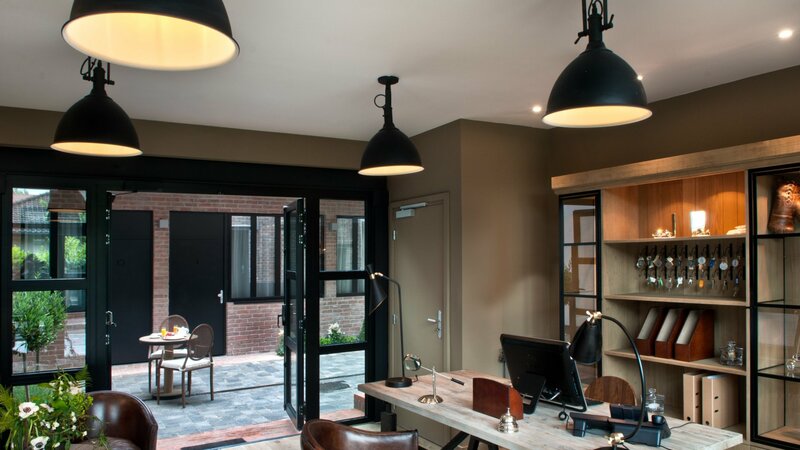 The reception, decorated in an industrial style and composed of natural materials such as wood and leather, maintains the intimate and warm atmosphere of a luxury establishment where one feels at home. The inner courtyard will allow you to give yourself a moment of relaxation while enjoying the tranquility of the place. 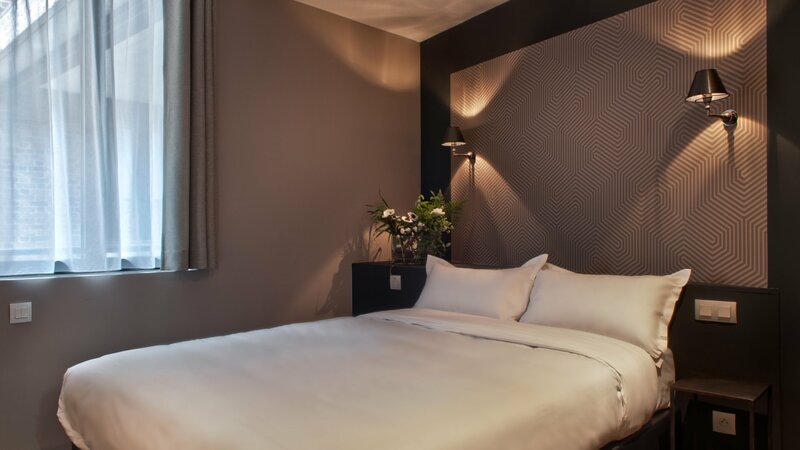 The rooms, decorated with care, are genuine cocoons with tonic lines, decorated with a unique graphic headboard. All have a spacious and modern bathroom. 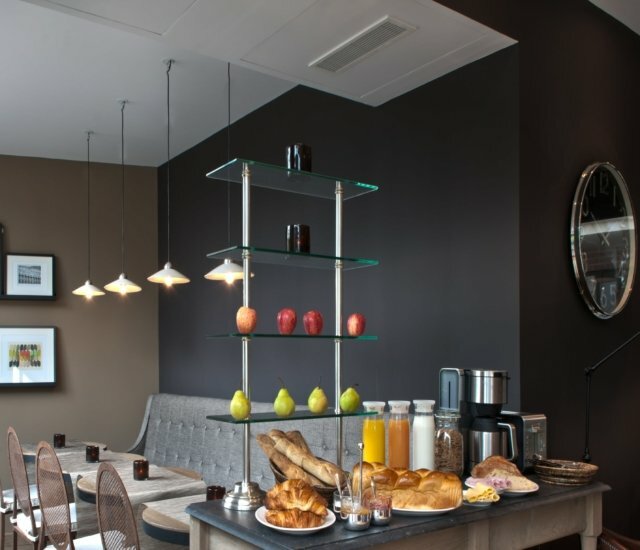 Guests can connect to the hotel’s free Wi-Fi for business or personal needs. 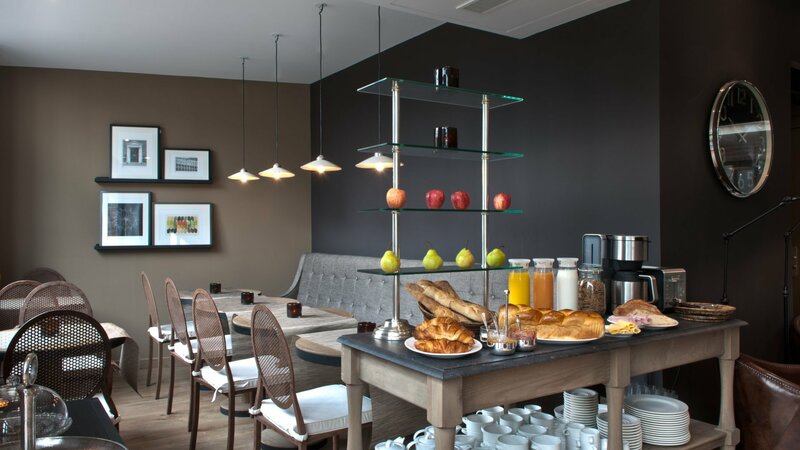 Every morning, we offer a breakfast buffet in the form of a salty and sweet buffet. Always attentive, our multilingual team will not fail to advise you on the visits and the good tables located nearby. 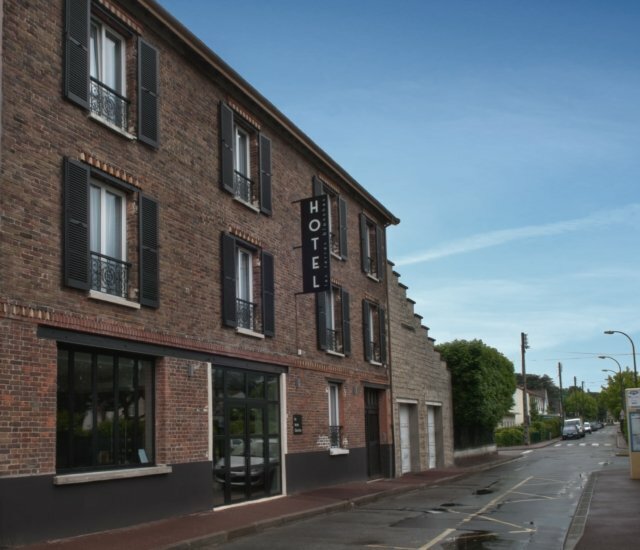 Throughout your stay, you will have the opportunity to discover the cultural, historical and natural heritage of Chatou, Maisons-Laffitte, Le Vésinet and Rueil-Malmaison. You will immerse yourself in the Land of the Impressionists, in the imperial life of Napoleon Bonaparte and his wife Joséphine, and in the world of horse racing. Are you dreaming of space and greenery? The nearby Saint-Germain-en-Laye forest offers a breath of fresh air, far from the tumult of Paris. You can also walk in the footsteps of the Impressionists in the eponymous park and the Renoir Park. A little further, three architectural wonders give you an appointment with history: the castle of Versailles and its magnificent gardens; The castle of Saint-Germain-en-Laye, the former residence of the kings of France; And the Castle of Monte-Cristo, where the illustrious writer Alexandre Dumas lived. Not to mention the castles of Maisons-Laffitte and Rueil-Malmaison! Ideally located in a quiet environment, Chatou allows you to reach Paris and its Business Center of La Défense in less than 45 minutes thanks to the RER A or in less than 30 minutes by car. 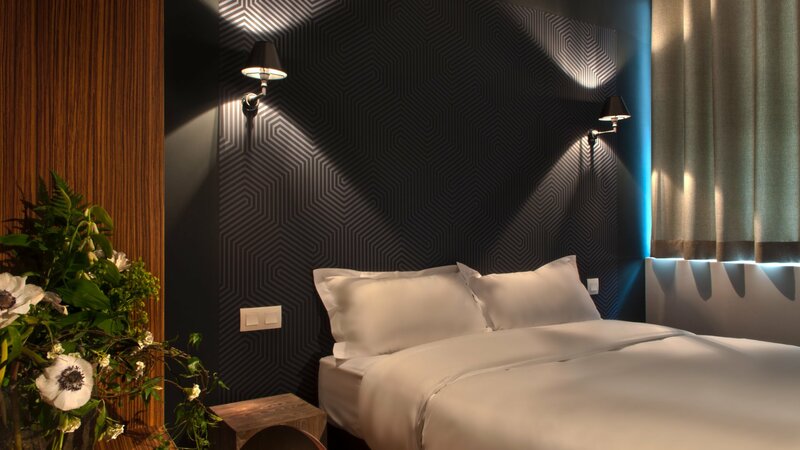 You will thus benefit from a resplendent setting while being close to the major tourist attractions that the capital offers, such as the Champs-Elysées, the Eiffel Tower, Montmartre or the Opéra Garnier. To make a reservation and to discover our prices, we invite you to select your dates of stay on our site or to contact us by telephone.